October is considered the Month of the Holy Rosary of the Blessed Virgin Mary and that is why for the next three weeks; we will take up Mary’s Role in the New Testament. 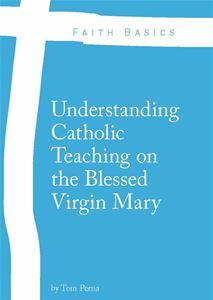 Mary’s role in the New Testament is deeply rooted in the Mysteries of the Holy Rosary. Let’s first begin today with the memorial of Our Lady of the Rosary. For many Catholics, who pray this Marian prayer worldwide every day, the Rosary is a daily prayer offered through the intercession of the Blessed Virgin Mary that meditates upon the Gospels and the life of Jesus Christ. 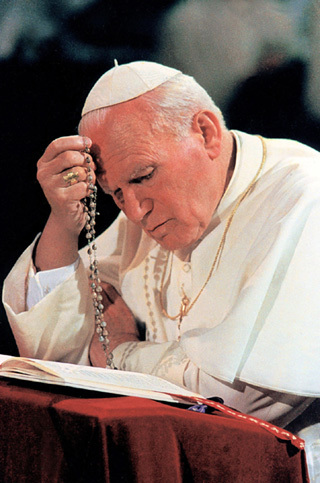 Blessed John Paul II says, “The Rosary, though clearly Marian in character, is at heart a Christocentric prayer” (Rosarium Virginis Mariae – On the Most Holy Rosary). On October 7, 1571, the first Sunday of October, Don Juan of Austria won his famous naval battle over the Turks at Lepanto. When giving praise and thanksgiving, he attributed the victory because of the praying of the Holy Rosary and the intercession of the Blessed Virgin Mary. Because the Christians were victorious over the Turks through Our Lady’s intercession, Pope St. Pius V (1566-1572) established an annual feast on October 7 and titled it, Our Lady of Victory. Pope Gregory XIII (1572-1585), the immediate successor to Pope St. Pius V, enhanced the title to “of the Rosary.” He gave its Office to any church that there was an altar consecrated to Our Lady of the Rosary. In the year 1716, the army of Emperor Charles VI, under the military leadership of Prince Eugene, had a tremendous victory near Belgrade over the Turks. This occurred on the Feast of Our Lady of Snows and while the Society of the Holy Rosary members were offering sacred prayers in the city of Rome. Some time after, in the city of Corcyra, the Turks were forced to surrender that city. In light of these great victories, Pope Clement XI (1700-1721), gave the Universal Church the Feast of the Most Holy Rosary. Before this time, it was only a regional feast in the Church. Pope Benedict XIV (1740-1758) entered the feast into the Roman Breviary. The feast was given a feast of second class under Pope Leo XIII (1878-1903). Pope Leo also made an invocation addition to the Litany of Loreto. 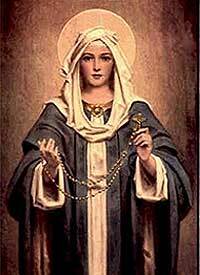 He implemented – Queen of the Most Holy Rosary…Pray for Us. In the year 1961 and during the pontificate of Blessed John XXIII, the title of this feast became, Our Lady of the Rosary. 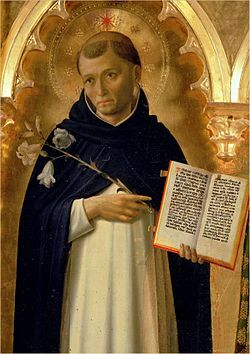 The Rosary, which has played a major role in the Church for centuries, has its birth and infancy through the great saint and founder of the Dominicans, Saint Dominic de Guzman. Our Lady of the Rosary…Pray for Us! This post is dedicated to the repose of the soul of my grandmother (on my Mom’s side), Carmela Tino, who passed away 33 years ago on this day. Hoever, Rev. Hugo, S.O.Cist., Ph.D., Lives of the Saints, Catholic Book Publishing, New York, 1989. Beautiful! I am sure Our Lady and your grandmother are smiling!